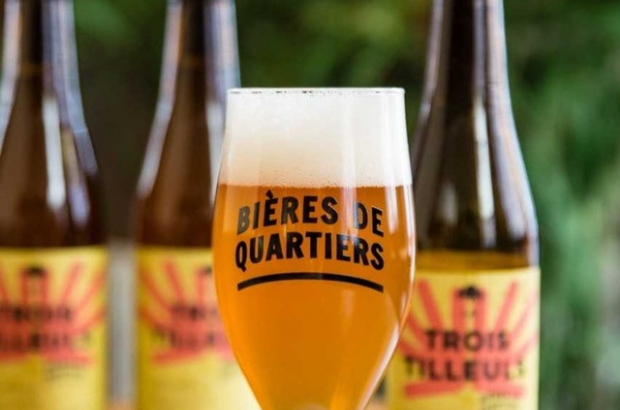 Three entrepreneurs have launched Bières de Quartiers, which will develop beers inspired by Brussels' neighbourhoods. The first beer is already on the market: La Trois Tilleuls is a blond ale dedicated to Watermael-Boitsfort. The Brussels trio decided that since each neighbourhood has its own distinct personality, the beers associated with them should, too. They search the nooks and crannies of different areas, talking with residents and local shops, seeking inspiration: What do they associate with their own municipalities? What do they like about living there? The name Trois Tilleuls, for example, is synonymous with Watermael-Boitsfort. It is the name of both a main thoroughfare as well as a major sport club and stadium and many local businesses. All the titles stem from the three linden trees that stand in the middle of a major round-a-bout, where six streets come together. So the three of them ran with it. La Trois Tilleuls beer is made with three grains, three kinds of hops and a touch of linden flower. It is only available in bars and shops in Watermael-Boitsfort. Other beers - brewed by partners - will also only be sold in the neighbourhood they represent. The next beer is scheduled to premiere in May. The company is also looking into allowing neighbourhoods and associations to crowdfund their own beers.